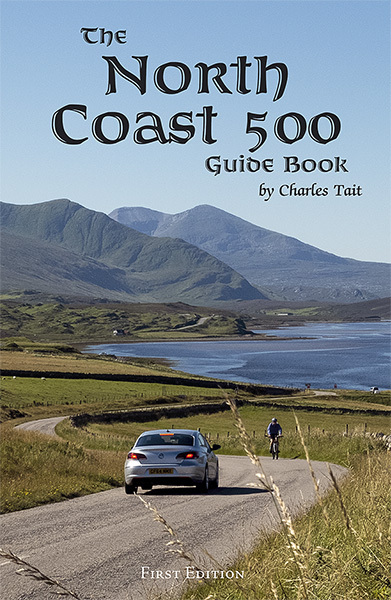 The NC500 Guide Book has 256 pages. It is a handy pocket size (140x220mm) and covers all the main sites of interest, monuments, visitor attractions, and islands in Caithness, Sutherland and Ross & Cromarty as well as suggested itineraries, places of interest, walks and boat trips, information on transport, and services. It is profusely illustrated with over 700 of Charles Tait's images, mostly new and unpublished as well as maps and old photos.